The Enphase Q Aggregator makes it simple to combine branch circuits on the roof; eliminating materials and improving installation reliability. 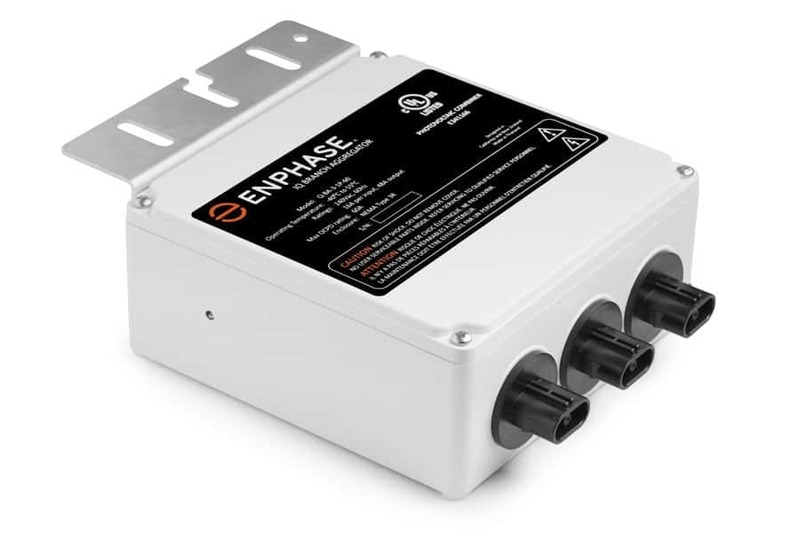 The Enphase Q Aggregator can combine up to three 20A branch circuits and supports solar arrays up to 11.5kW AC. The Q Aggregator reduces electrical labor and balance-of-systems materials costs and is used to combine up to three microinverter branches into one home run. The enclosure is NEMA3R rated for outdoor installation and it can be roof-mounted at angles up to 45° from horizontal. The Q Aggregator includes one bulkhead connector cap (Q-BA-CAP) for covering an unused connector, you will need another bulkhead cap when connecting a single branch circuit.